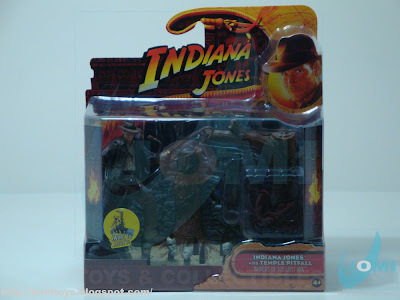 The 2008 Hasbro´s Indiana Jones line not only brought us great looking vehicles, but also some great figures and small "Dio-packs". Here presented are some of those which deserves some considerable attention by 3 3/4" figures fans. 3 Deluxe "Dio-sets" and a 2-pack purchased for Diorama purposes. 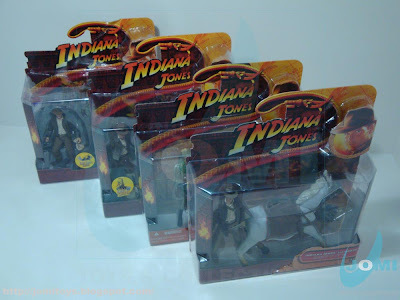 However, Indiana Jones fans must truly be happy with this line. 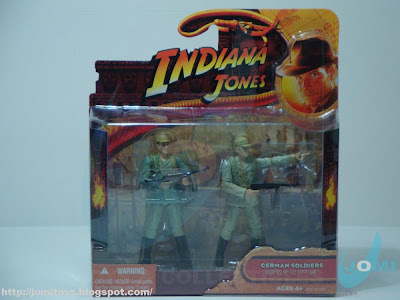 Following the release of the 4th Indiana Jones franchise movie, this "Lucasfilm" and "Hasbro" decision on releasing figures from ALL movies and especially recreating movie scenes was absolutely great and worthy of appraisal. "Raiders Of The Lost Ark" German Soldiers. Army-builder kind of pack. Although representing a particular shot from the movie, they perfectly serve as common soldiers for your WWII or regular war scenarios. 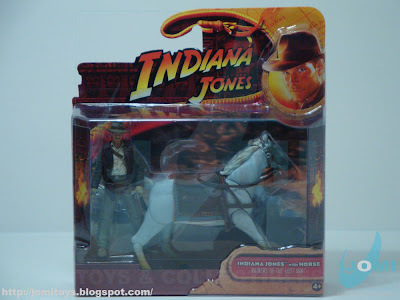 "Raiders Of The Lost Ark" Indiana Jones with Horse. A lot better (as expected) than Chap Mei´s and/or Lanard´s horses. A figure by itself. Articulated and greatly painted and sculpted. "Raiders Of The Lost Ark" with Temple Trap. A great set of small goodies, from the golden statue to all the small details on the ground and realistic stone sculpting, also features a "mouth-closing" action. 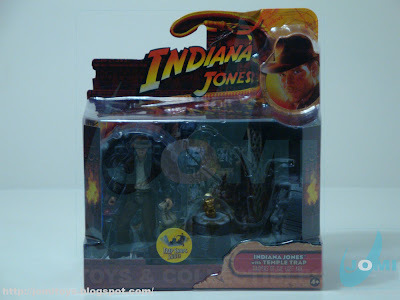 "Raiders Of The Lost Ark" Indiana Jones with Temple Pitfall. One of the most memorable scenes from the "Lucasfilm" classic and a huge plus for you Diorama builders out there.